The term “augmented reality” has been around since the early 90s, when it was being used to facilitate navigation for airline pilots. 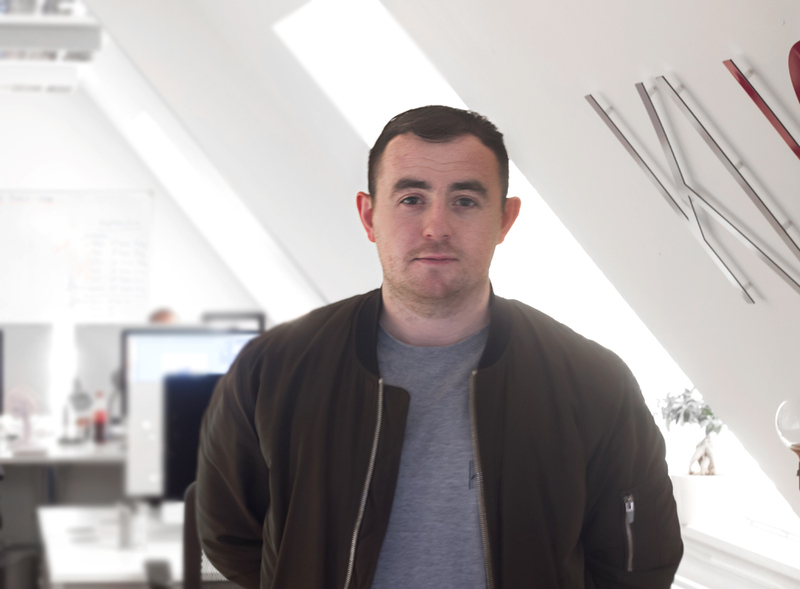 Today, with the advent of games and gadgets from Pokémon Go to Magic Leap, it is rapidly gaining prominence and is now moving into the arena of web design. Augmented reality (AR) should not be confused with virtual reality (VR). In VR, users are taken into a virtual world using an implement such as a headset. They are immersed in a completely fabricated world, moving their limbs and interacting with this environment as they would in real life. The images they can see are totally different from the reality. In AR, fabricated images are layered over reality – users can see the real world around them, for example, by using the camera function of a smartphone, but they can also see computer-generated images layered over the top of their actual surroundings. In essence, AR bridges the gap between reality and virtual reality. The benefit of this technology is that users can perform activities based on their current location. So if there’s a rare Pokémon loitering outside your local library, they can catch it without anybody knowing they’re doing so. 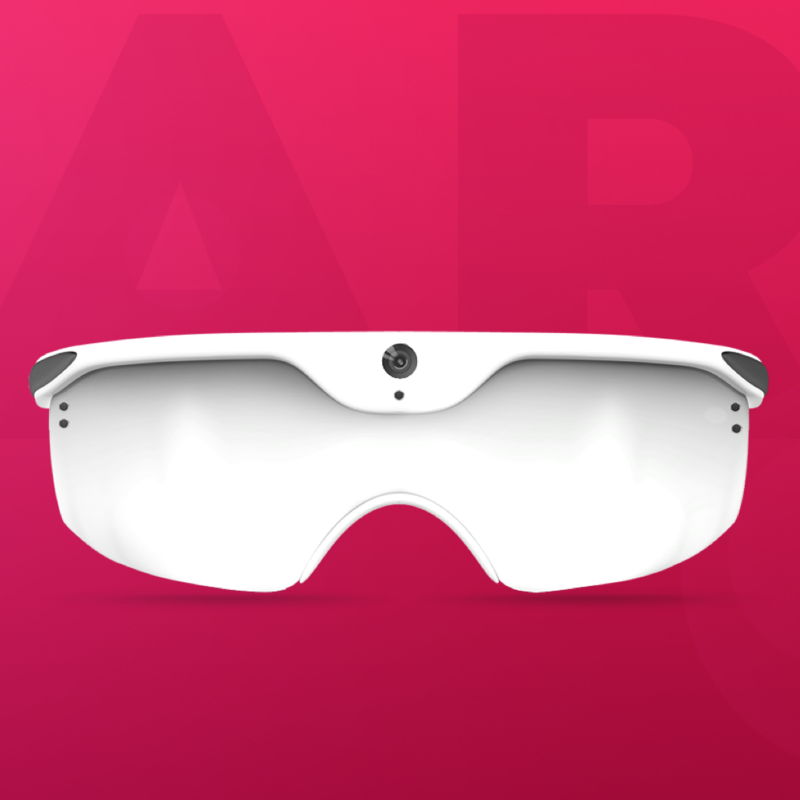 AR can be used on wearable technology, smartphone apps, desktop sites and mobile sites, from applying filters to images, to trying on clothes. Take, for example, the Snapchat filter – users of this app can hold the front-facing cameras in front of themselves to take a ‘selfie’ while the app shows an additional layered image on top, such as dog ears. Of course, this kind of technology is not without its criticisms – Google famously stopped selling its Google Glass wearables in 2015 after reports of privacy concerns. But while the boffins at Google strive tirelessly to bring this particular form of AR back, the phenomenon is slowly beginning to assert itself as an invaluable asset to web designers. With less potential for error than with wearable technology, AR is already starting to improve user experience on desktop and mobile. 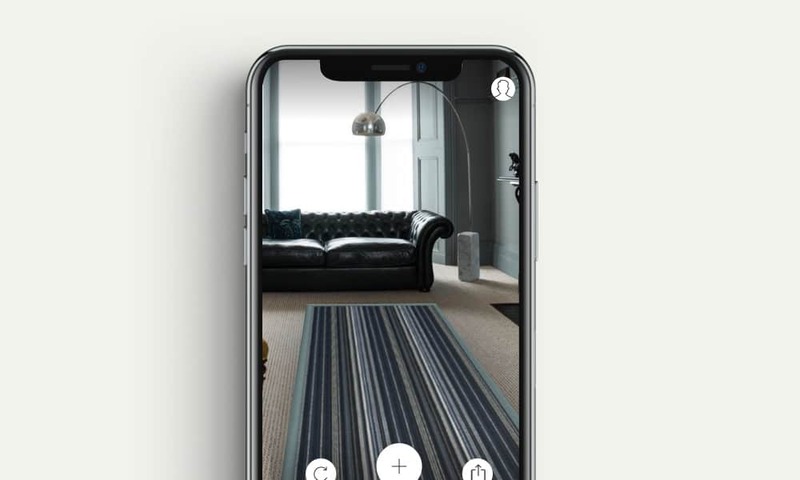 E-commerce web designers have been implementing AR in recent years, making use of webcams or smartphone cameras to help consumers choose their products. 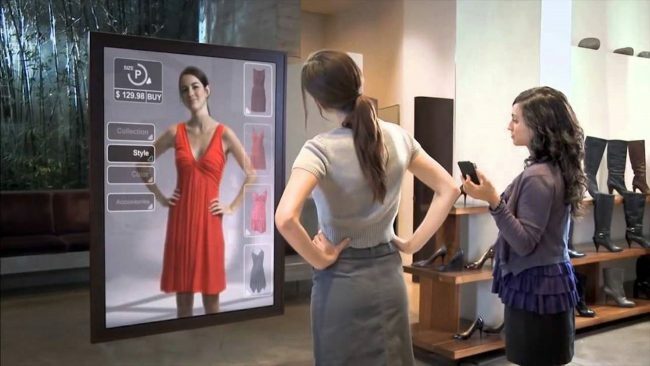 In fashion retail, for example, AR is used as a “virtual dressing room” experience. Users can point their desktop or smartphone camera towards themselves and scroll through outfit choices which are displayed on the screen. US-based JC Penney is already using this technology, for example, as are some glasses retailers. AR isn’t just improving the user experience in the retail – besides webcams or smartphones, it is also being used with headsets in the engineering, education and aviation industries. Project managers, for example, can better visualise a project by making notes on it or viewing blueprints in real-time. Visual representation is just one facet of AR – users can also interact with sound, touch and even smell, thanks to nascent developments in voice commands, haptic suits and wireless scent dispensers to create an immersive experience. On desktop computers, AR makes use of a webcam to generate an image of the user’s surroundings. Depending on the program in use, it will then implement image recognition technology to display the chosen graphics onto an object, for example, the aforementioned clothing or sunglasses. 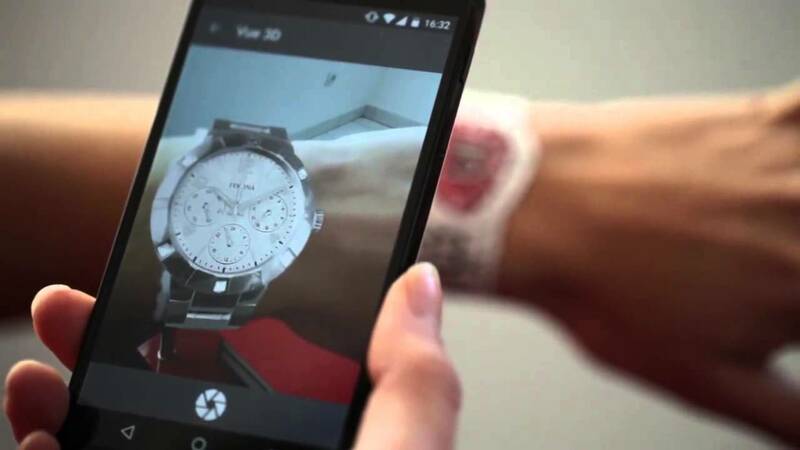 Mobile AR is slightly more complicated – handheld devices including tablets and smartphones use apps, sensors, GPS and compasses to help show images of real-life objects. 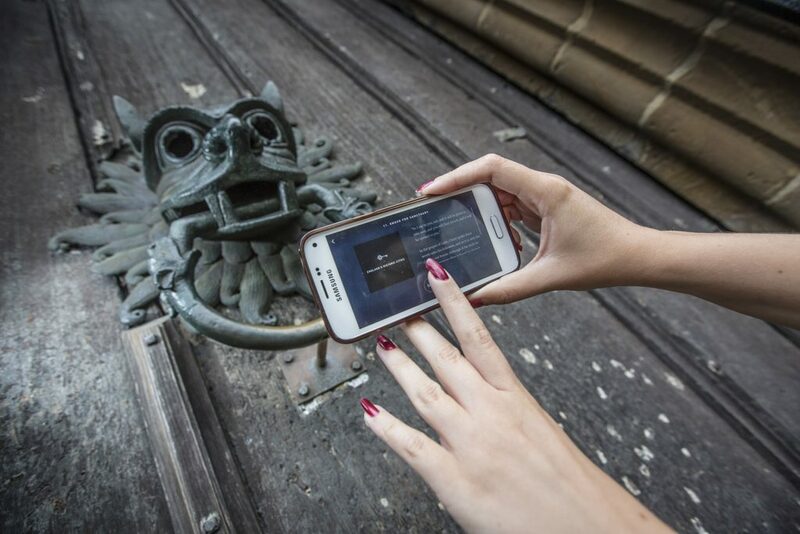 This has worked particularly well for the tourism industry – for example, the England’s Historic Cities app invites users to point their phones at historical landmarks, which will then allow the app to unlock hidden facts and enjoy panoramas of ‘zero-access’ locations. The biggest shift we are seeing for web design is mobile. This is particularly prominent in web design for AR as we move from static websites, in which information does not change, to dynamic websites, where information changes constantly. One of the benefits of AR is that it offers a completely 360 experience that desktop computers simply cannot match. 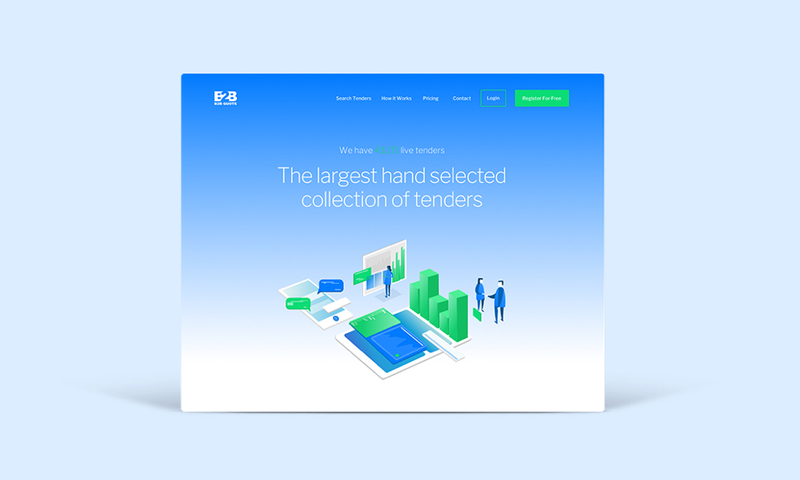 As such, this provides designers with more opportunity to interact with their users, adding key points of information at all angles in what’s known as the “Z-axis”. Picture the scene: rather than having multiple tabs open in one two-dimensional screen, users can access information all around them in an organised fashion, much like a chemist’s laboratory with every key ingredient within easy reach. Almost taking a step back in time, AR helps to eliminate the new kinds of tactile interactions to which we have become so accustomed using smartphones. Rather than scrolling and zooming, AR is using automation intuitively, while helping users restore their human interactions by allowing them to “touch” virtual objects. “Contextual computing” makes use of resources such as analytics to help AR better understand users. We see examples of our technology trying to understand us all the time, right down to our Netflix preferences. Rather than responding to a set command, AR’s automation will gather contextual information from historical user data and the real-world environment to present the most useful content to the user at that moment in time. While AR doesn’t need commands to work successfully, they can certainly enhance the experience when it comes to voice commands. Web designers are now using speech recognition technology to help users give spoken commands, which has proven successful in multiple industries from gaming to e-commerce. 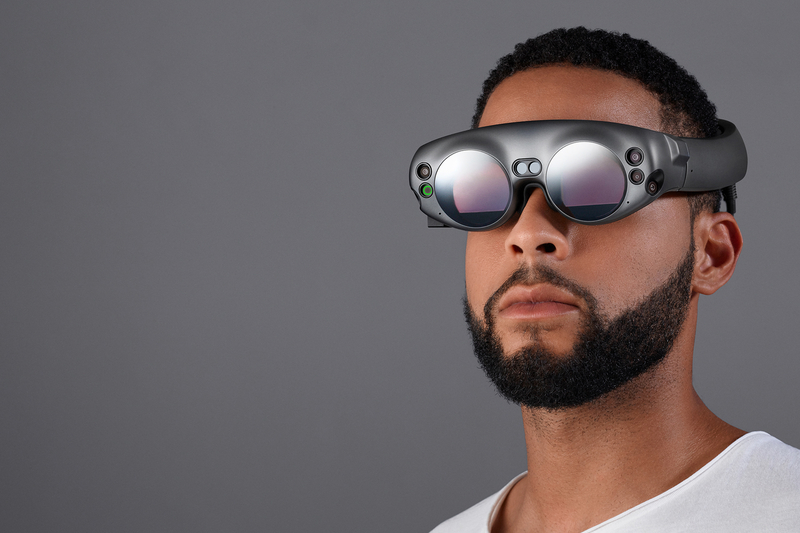 In 2016, virtual retina display manufacturers Magic Leap showed off an incredible example of voice interaction in AR to optimise the virtual shopping experience. In their explainer video, a pregnant woman was seen shopping for items to place in her new baby’s room. Using the real-life room as a blank canvas, she made voice commands asking the headset to display different items, which would then show up in situ in her baby’s room. She later purchased a product after successfully leveraging this technology. In 2017, Forbes advised UX designers that voice recognition, along with AR, would soon disrupt the web design industry. 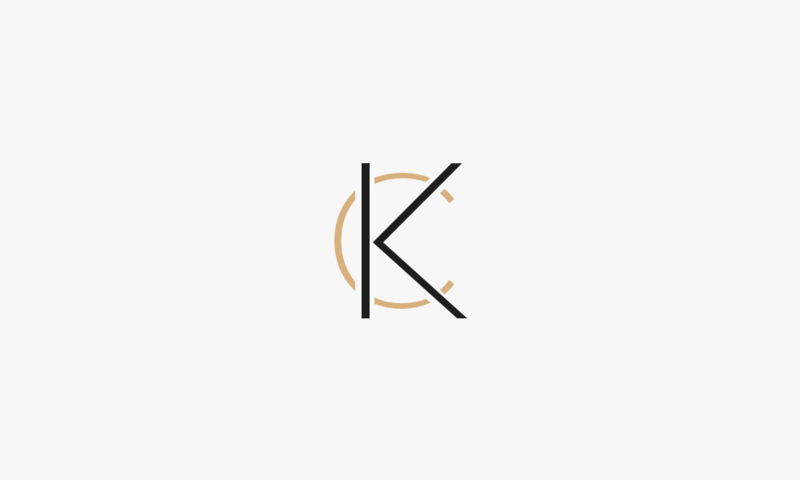 With typing and clicking becoming ever more redundant thanks to virtual assistants and commands such as “OK Google”, voice interaction provides a much faster result for users whose time is increasingly short. By implementing voice interaction into AR, UX designers can create a more humanised experience. 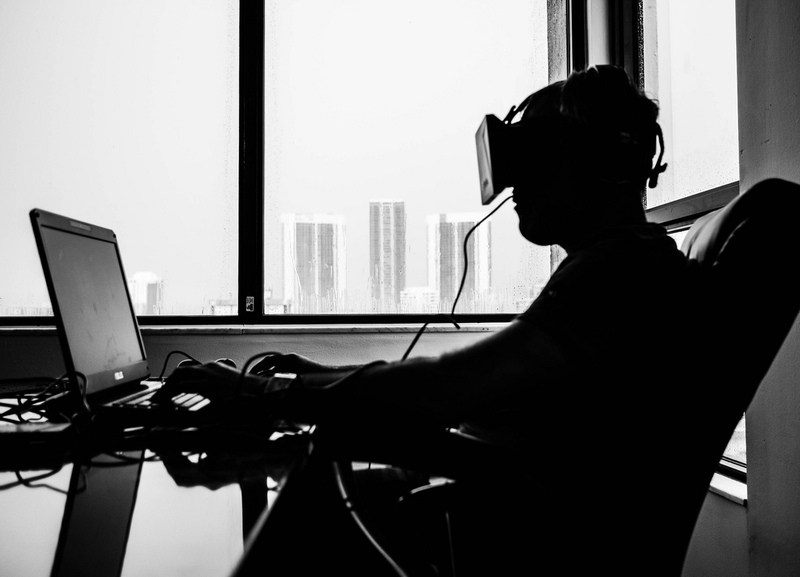 While AR may have come to the fore in the 90s, VR has been around longer, but the two heavily complement each other when it comes to improving UX. VR and AR may differ in terms of the level of immersion, but they also have myriad similarities, particularly on mobile. Back in 2017, Forbes also warned that mobile UX would no longer simply be a consideration for web designers – it would become an entire industry. To that end, designers are always on the lookout for ways to improve the quality of this immersive content. For example, Google VR view allows designers to embed 360 videos onto their sites. By providing mobile-optimised versions of this content, designers benefit from better organic search rankings and a better user experience. 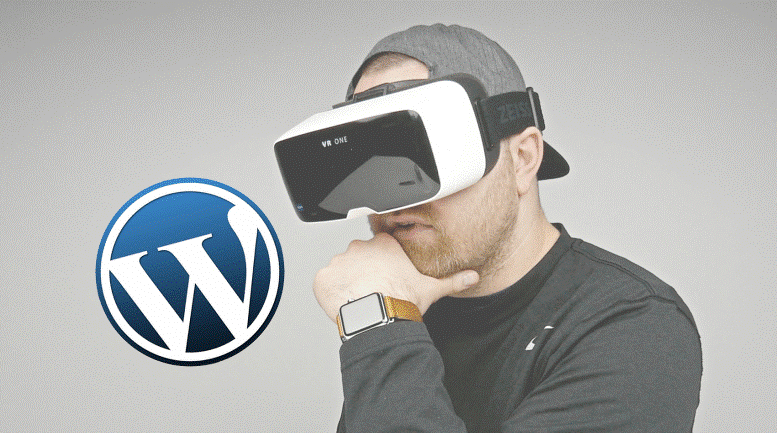 AR for web design has come along in leaps and bounds thanks to the dawn of compatible plug-ins such as WordPress VR, which allows designers to upload 360 videos onto WordPress sites. Similarly, Google Maps, Streetview and Google Earth can all support plug-ins with the abovementioned Google VR view. With this technology so readily available on mobile sites, AR and VR can be used just as often on standard mobile devices as they can on headsets, providing consumers with an affordable option that improves their browsing experience. At this moment in time, AR is still replete with challenges for web designers. As web design turns more and more towards mobile, the decision to invest in improving desktop AR is a tricky one. While many industries still rely on desktop computers to make their buying decisions, others are evolving. For example, while fashion retailers might be using desktop AR now, it’s likely they will move towards mobile in future. 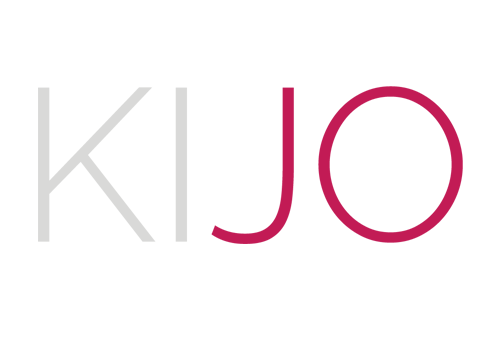 Equally, the need for high-quality content is an absolute must, giving users high definition images to help them better visualise their chosen scenarios – for example, a prospective clothing purchase. But this must be mobile-optimised, which poses a challenge for delivering high-quality images at fast speeds. In the short term, web designers need to gain a better understanding of their customers before they can make any huge advances in AR. AR is a lot more dependent on customer activity than VR, which is far older technology and is perhaps most synonymous with gaming. Designers should make use of big data and analytics to understand their customers’ wants and needs. 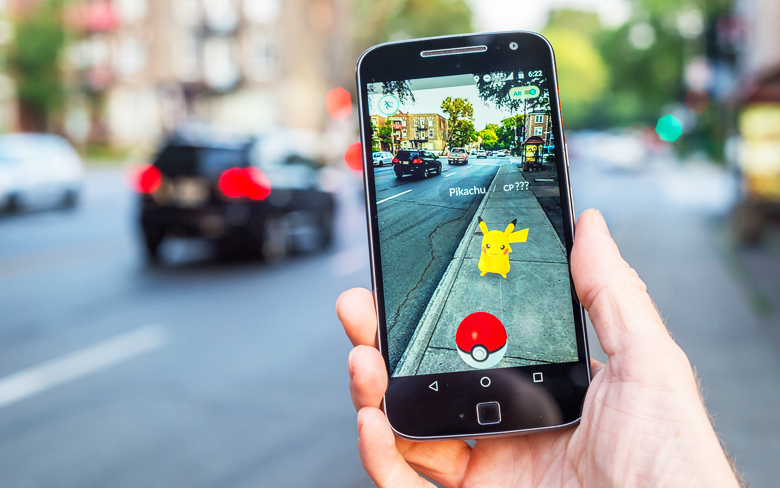 As an industry that’s forecasted to be worth $50 billion by 2024, now is certainly the time to start investing in AR. Facebook has purchased Oculus Rift, while Apple acquired German AR company Metaio back in 2015. With so many big players acknowledging the benefits of AR and VR, it’s time for smaller companies to start investing time into researching these technologies, together with responsive and dynamic website design. From manufacturing to medicine, AR is transforming the web design industry, with the best yet to come.